Quality is the goal of Organic Farming. 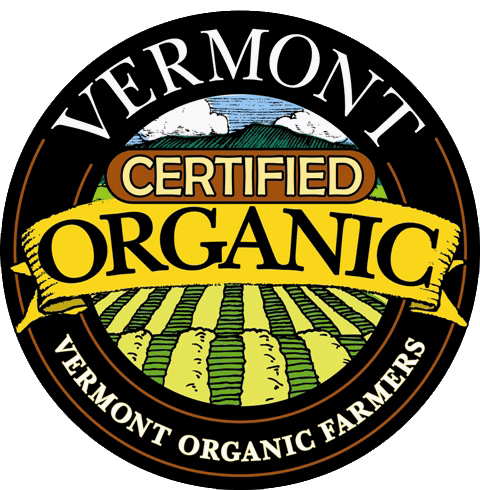 The purpose of Organic Practices is to produce food products that are safe and healthy. Organic inspectors monitor conditions for food products to keep them free of synthetic fertilizers, herbicides, pesticides, lead and unsanitary processing conditions. Processors are inspected annually. Stainless steel equipment is recommended for all processing equipment. It is easy to clean and lead-free. Organic cleaners and defoamers are available to processors of maple syrup. Sugarbush management is an ongoing process which is controlled by qualified organic inspectors. The purpose of this is to ensure that harvesting or gathering will not be destructive to the environment and will sustain the growth and production of the wild crop. A record keeping system controls the storage of maple products, proper labeling, numbering system, invoices or purchase orders. These records are available to inspectors. 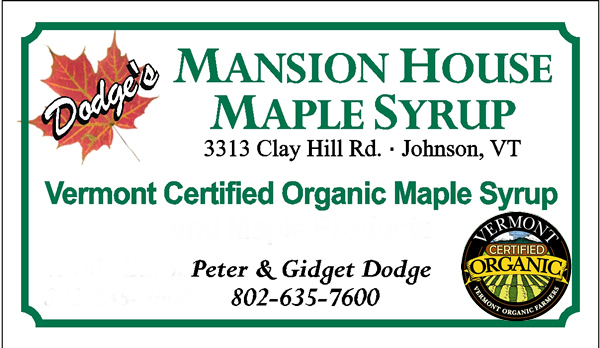 Customers will recognize Organic Mansion House Maple Syrup by the Official Vermont Certified Organic Label.